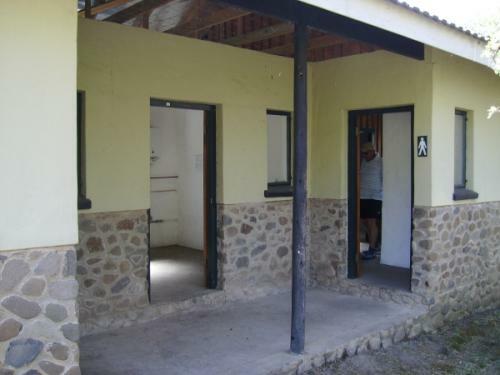 The hut is in an idyllic location on a tributary of the Mzimkhulwana River, only 9 km along the Giant's Cup Trail from the Pholela Hut at Cobham. This is the second overnight hut on the Giant's Cup Trail and the best of all. The doors have combination locks so you will need to get the numbers from the office at Cobham. A large, open cooking and dining area is provided under the main roof. 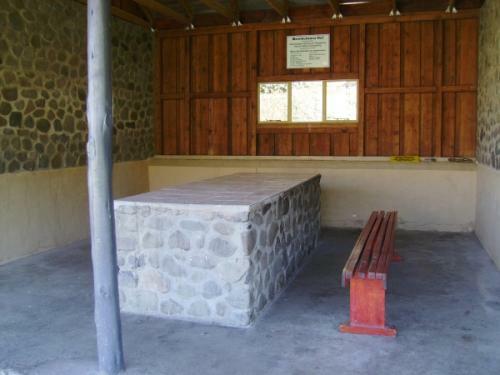 There is an outside ablution block and scullery with gas-fired hot water. There are no cooking facilities and open fires are not permitted, so take your own hiking stove along with you. You will also need to carry your rubbish away with you. 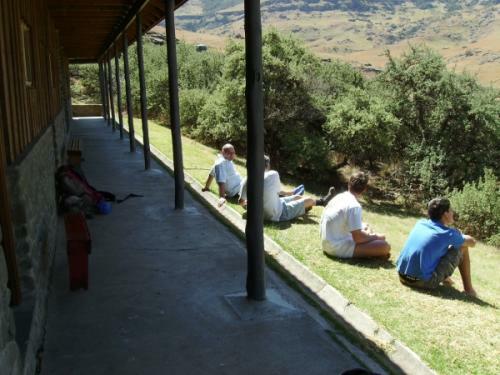 There is even a nice, sloping lawn in front of the hut on which to lie and sun tan. Being at the bottom of a valley, the hut has a somewhat restricted though still picturesque view. 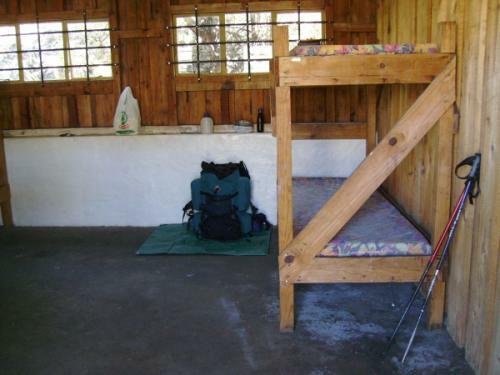 The five dormitories are dry, spacious and equipped with bunk beds and mattresses. Water is supplied via a water tank, but if you doubt its quality it is a relatively short walk to draw your own from the tributary. There are several large pools on the tributary, one of which is within easy walking distance of the hut. 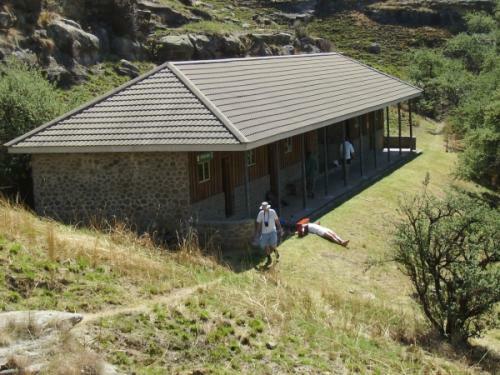 The hut is situated at the bottom of a valley and surrounded by rock bands and ouhoud bushes.